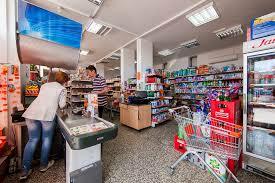 Polish Enterprise Fund VIII, a private equity fund managed by Enterprise Investors, signed an agreement to acquire a 100% stake in Studenac, a network of neighbourhood grocery stores operating in Croatia’s region of Dalmatia, Enterprise Investors said on June 8. The value of the transaction was not disclosed. The Polish fund acquires Studenac as the food retail market in Croatia enjoys healthy growth on the back of increasing disposable income and also a rapid rise in the number of tourists in Dalmatia, which boasts popular destinations such as Split and Dubrovnik. The takeover also comes at a time when the Croatian grocery retail landscape is expected to evolve towards modern trade formats, Enterprise Investors said. “During our investment horizon we plan to accelerate the development of the network, participate in market consolidation and enhance the current stores’ performance,” Enterprise Investors’ Michal Kedzia said in a statement. The seller is Josip Milavic, the company’s founder. The transaction is conditional upon obtaining antimonopoly approval. At the end of 2017, Studenac operated 384 stores in Croatia which generated revenue of over €200mn.